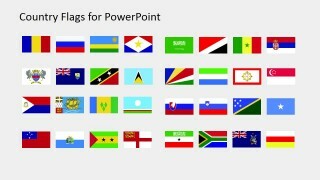 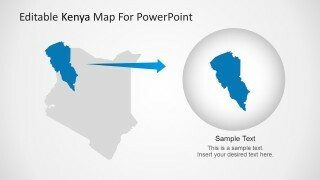 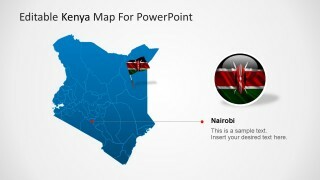 Editable Kenya PowerPoint Map – Create professional presentations with the use of our PowerPoint Maps. 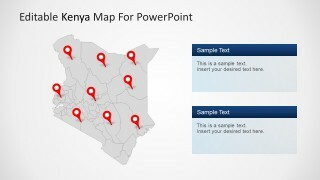 The Editable Kenya PowerPoint Map is a political outline created as a composite of individual states and regions. 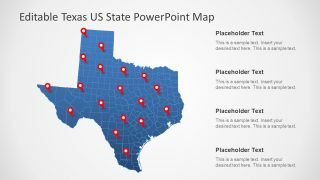 The user can work with the full map or with each individual state. 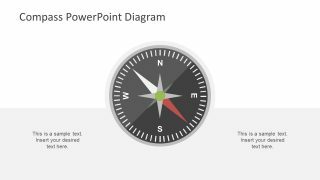 All the elements are created as PowerPoint Shapes, allowing the user to fully customize their appearance and labels. 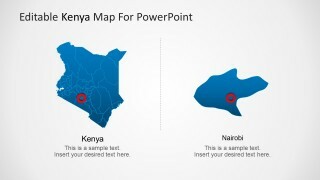 This Kenya Map is an updated version from the old Republic of Kenya geographic. This is designed based on the regions and its counties with Kenya borders on to Tanzania, Somalia, Uganda, South Sudan and Ethiopia. 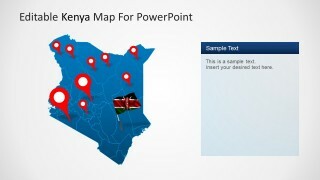 This PowerPoint Map is ideal for presenting geographic topics related to Kenya, for describing markets in each region, or even to plan a business or leisure trip. 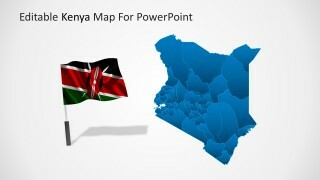 As we know, the country’s tourism pays a large part of Kenya and the beaches as seen in Mombasa and its other regions draw people from all over the world. 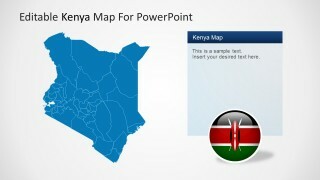 The Editable Kenya PowerPoint Map is simple to use and adapts easily to the theme option chosen by the user. 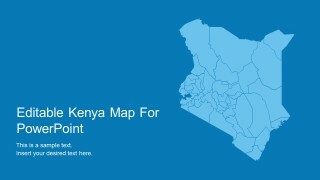 This is designed in a professional and clean style with GPS and region highlights. 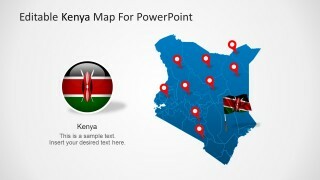 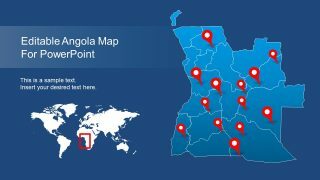 Impress your audience with high-quality graphics using the Editable Kenya PowerPoint Map or any of our PowerPoint Templates.